Good news! 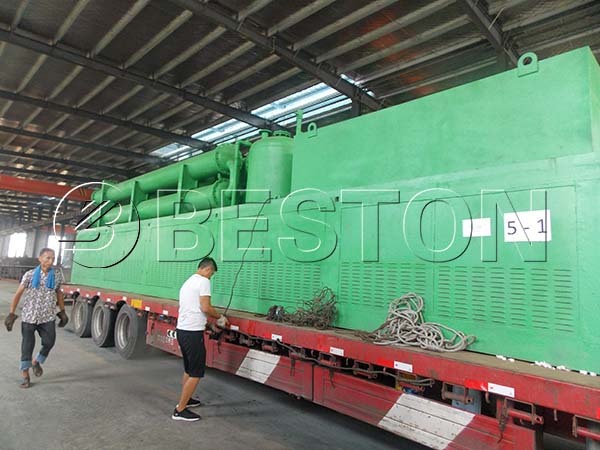 The BLL-20 continuous waste pyrolysis plant for Romanian clients was shipped last month. After the waste tyre pyrolysis plant in the UK was installed, this is the second waste pyrolysis plant from Beston Machinery in Europe this year. 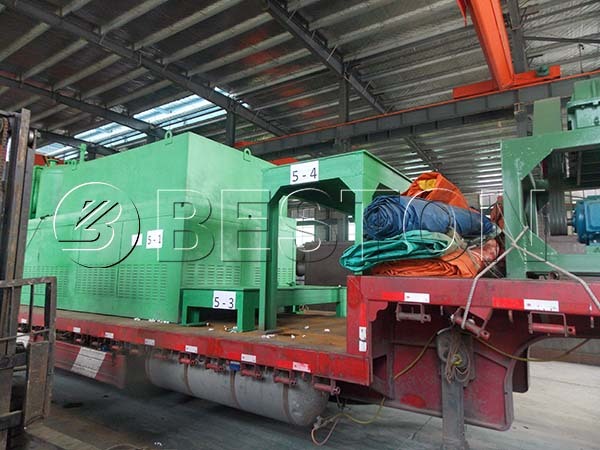 Here are some pictures of the shipping of our waste pyrolysis machine. 1. BLL-20 continuous waste pyrolysis plant is suitable for various raw materials, including waste plastic, old tyres, rubber, oil sludge, medical waste, etc. Just like all type of our pyrolysis machines, it also has a wide application. 2. The continuous plant is equipped with automatic feeding and discharging system. In comparison with the semi-continuous and batch plants, it can feed materials from one side and discharge from the other side continuously. That is to say, it can work for 24 hours a day without a stop to save time and improve the working efficiency. So its daily capacity can reach up to 24 ton. Meanwhile, it can also save your labor input due to the high automation. 3. The pyrolysis reactor of BLL-20 continuous waste pyrolysis plant is horizontal and rotary, which can pyrolyze the raw materials more completely. Meanwhile, it can also prolong the service life. 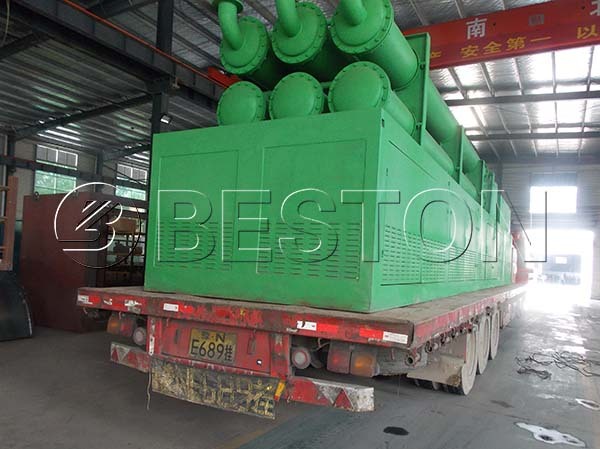 Beston is an experienced waste recycling machine manufacturer. 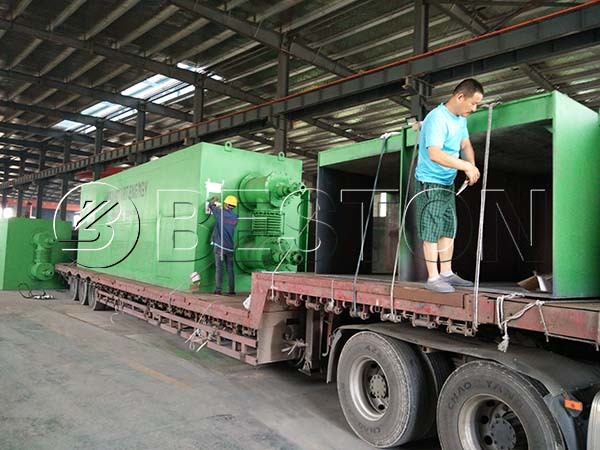 In these two years, we have exported and installed BLL-20 continuous waste pyrolysis plants in South Africa and Uzbekistan, which has been highly praised. Moreover, we never stop updating our products and service to maximize customers’ benefits. As you can see from the pictures, each part is marked to ship to make the installation easier. Certainly, you will be glad to cooperate with Beston Group.